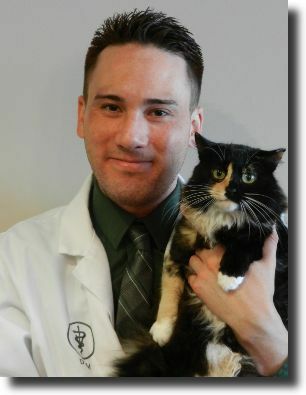 Dr. Christopher Tripi attended the Atlantic Veterinary College located at the University of Prince Edward Island. After he graduated, he took part in an internal medicine / critical care internship at the Animal Medical Center in New York City. Later he took part in a surgical internship at Sage Centers. Dr. Tripi's medical interests include surgery, dentistry and informative communication with his patients and clients. When he is not busy sharing the responsibility of running Four Paws Veterinary Center with his wife Dr. Smyrni, Dr. Tripi's personal interests include: snowboarding, biking, camping and the outdoors. Dr. Keri Smyrni attended the Atlantic Veterinary College located at the University of Prince Edward Island. After she graduated she returned to the Bay Area and received additional training in internal and emergency medicine at Dublin's own Iron Horse Vetcare. 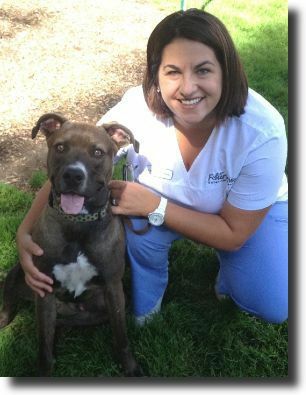 The inspiration for Four Paws Veterinary Center, Keri runs the practice with her husband, Dr. Tripi. Keri enjoys spending time with her family and friends, as well as swimming. Dr. Jonathan MacStay was born and raised in the East Bay Area of California. 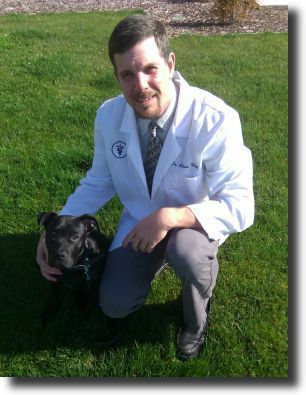 In 2011, he received his DVM from Ross University School of Veterinary Medicine, and completed his final clinical year at North Carolina State University School of Veterinary Medicine. He then went on to complete a one year small animal rotating internship through East Bay Veterinary Specialists and Emergency in Walnut Creek, CA that included: emergency and critical care medicine, internal medicine, neurology, surgery, oncology, general practice medicine, and dentistry. Dr. MacStay's professional interests include emergency and critical care, abdominal/thoracic ultrasound, internal medicine, pain management, acupuncture/holistic medicine, and avian and exotics medicine. When he is not busy working at the veterinary office, Dr. MacStay enjoys working out, hiking, swimming, and spending time with his friends and family including his cat, Queenie whom he rescued while attending veterinary medical school.